The best Caribbean tourist attractions are a matter of opinion. But some of them get so many visitors it is hard to argue about their popularity. The Caribbean's year-round warm and sunny weather makes the region a popular place to vacation. But it is more than just the warmth that draws people and keeps them coming back. Visitors on a seven-day cruise often stop at four or five destinations and take advantage of the chance to get off ship and walk around the island. 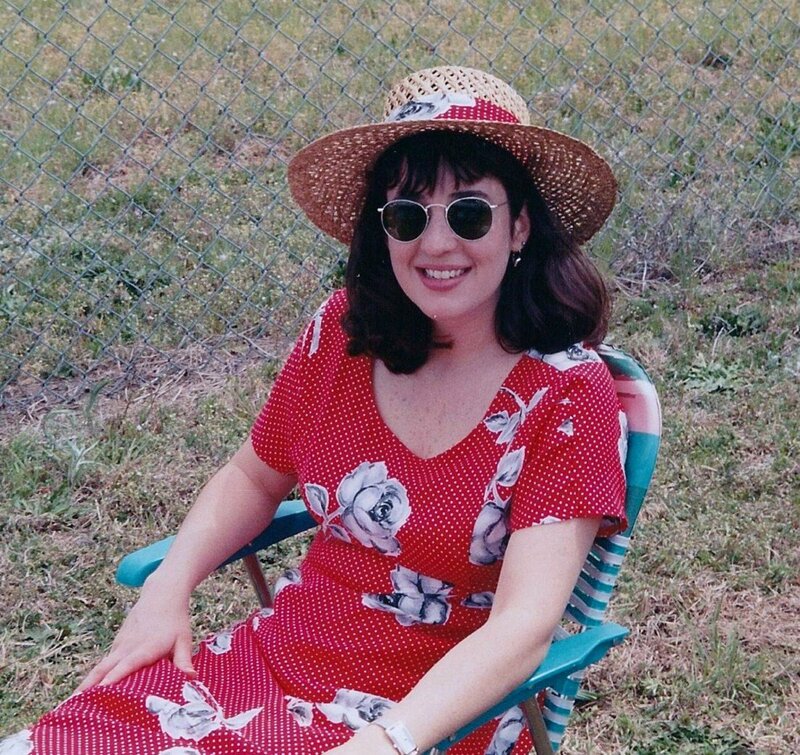 Vacationers who visit a week or more may want to get off the beach to break up their day in the sun. But no matter how they get there, vacationers will find that the Caribbean islands often mean a chance to experience unique historical, cultural and natural attractions. Here is a quick list of some of the favorites. What kind of attraction appeals to you the most? Stingray City is our favorite Caribbean attraction and a great family shore excursion. We took a boat ride out to a sandbar where a school of stingray lives. The stingray have become used to human touch because fishermen used to dump the entrails of their catch at that sandbar. Eventually, the fishermen started getting into the three-foot water and feeding them by hand. When we arrived, we got into the water with snorkels and fins, watch them glide past us and get the courage to touch their wings. Often they would rub their wings over our legs as they passed. That explained some of the screams we heard from other passengers. Stingray City is a paid excursion that cruise visitors can arrange on their own or via the ship's staff. Arranging it on your own is an extra hassle, but it often saves money. Expect to pay a tour operator about $50 for adults and about $40 for children under 12. For all excursions, the final cost depends in part on what kind of food, beverages or alcoholic drinks are included in the price as well as what kind of transportation tour operators provide. 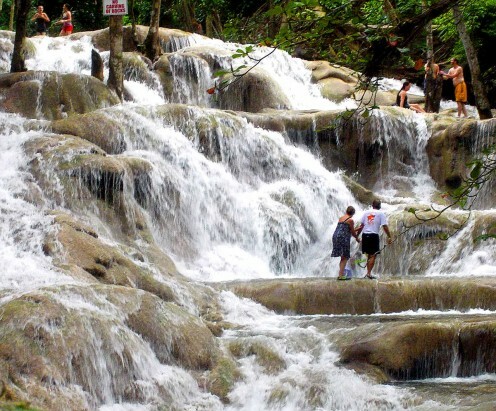 Dunn's River Falls is a series of cascading waterfalls that climb about 600 feet. It is one of the most popular land excursions in the Caribbean. Visitors start at the bottom and work their way up the falls in a daisy chain -- basically holding hands with each other to prevent any slipping. Our family of five worked our way up to the top and then splashed around in the pools with water falling all over us. It was a memorable experience that has stayed with us for years. 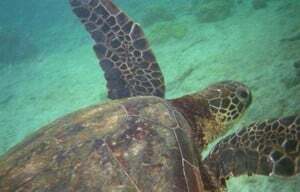 Swimming with sea turtles in Barbados is one of the top 10 Caribbean attractions. 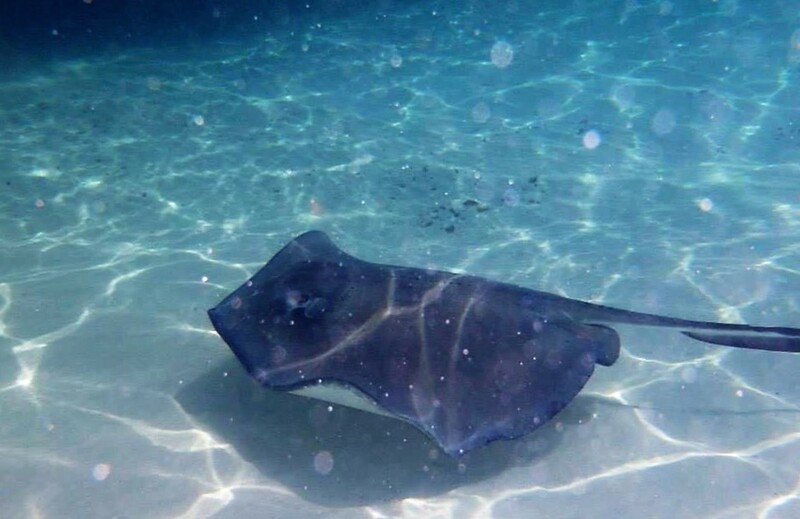 Swimming with stingrays in Grand Cayman mainly involves standing in waste-deep water and watching them glide by. Swimming with sea turtles in Barbados requires snorkeling and being underwater to see them glide within inches of your feet. These giant turtles are remarkably peaceful. Cave tubing is the most popular adventure tour in all of Belize and a popular excursion on western Caribbean cruises. Imagine jumping into an inner tube and floating along a river into a pitch-black, eerily quiet cave system that extends for hundreds of yards. Fortunately, visitors to Sibun Caves Branch Archaeological Park have caving helmets with lights to see where they are going. But then the guide tells everyone to turn off the lights. Words can't easily describe the massive achievement of early Mayans at Chichen Itza. The 90-minute bus ride from Cancun is well worth it for this UNESCO World Heritage site and the second most-visited archaeological site in Mexico. 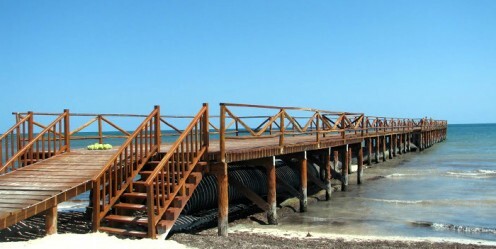 It is the best tourist attraction around Cancun. Every Caribbean destination has shopping, and much of it is the same -- T-shirts, coffee mugs and other tourist trinkets. What makes a few destinations stand out is the cleanliness, size and festive atmosphere of the shopping district along with the quality of the restaurants. They all have the kind of shopping districts that can fill a vacationer's entire day with browsing, eating and just hanging out. Playa del Carmen often has street entertainment. 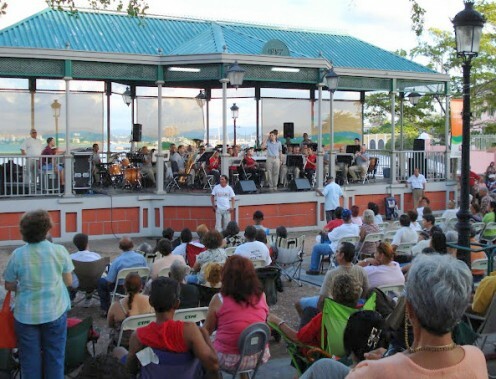 San Juan gets flooded with tourists who visit via cruise. In many cases, San Juan is the embarkation port. Anyone who visits the capital of Puerto Rico via cruise or otherwise should try to find some time in the historical Old San Juan. Old San Juan is a great shopping district, but what makes it unique is the Spanish colonial heritage including cobblestone streets, massive old forts and other centuries-old architecture. It also has wonderful ambiance because of the statues, fountains, parks and tree-lined streets. We especially enjoyed being there in early evening when the locals came out and a band played in one of the plazas. It was a festive atmosphere. It's just plain scary to climb nearly 100 feet up a tree -- sometimes it felt more like 1,000 feet -- have a guide hook your harness to a wire and jump off the platform. But then the fear turns to exhilaration as the trees rush past and a feeling of flying through the air takes over. Some people turned around and climbed back down rather than try it. We did, we lived through it and we now have yet another great family memory. Costa Rica has a reputation for being the birthplace of ziplining. Whether it is or not, many western Caribbean cruise visitors give it a try because of the opportunity to explore the country's famous rainforests and tropical life. But let's define what we mean by great beaches, which is a matter of opinion: expansive white sand, plenty of room to sunbathe, turquoise water and nearby dining and shopping when it is time for a break. Western Caribbean cruises or anyone simply visiting destinations such as Cozumel, Roatan or Belize will find plenty of snorkeling and diving experiences in one of the largest reefs in the world. One of the most famous dive spots is the Great Blue Hole, a submarine sinkhole off the coast of Belize. 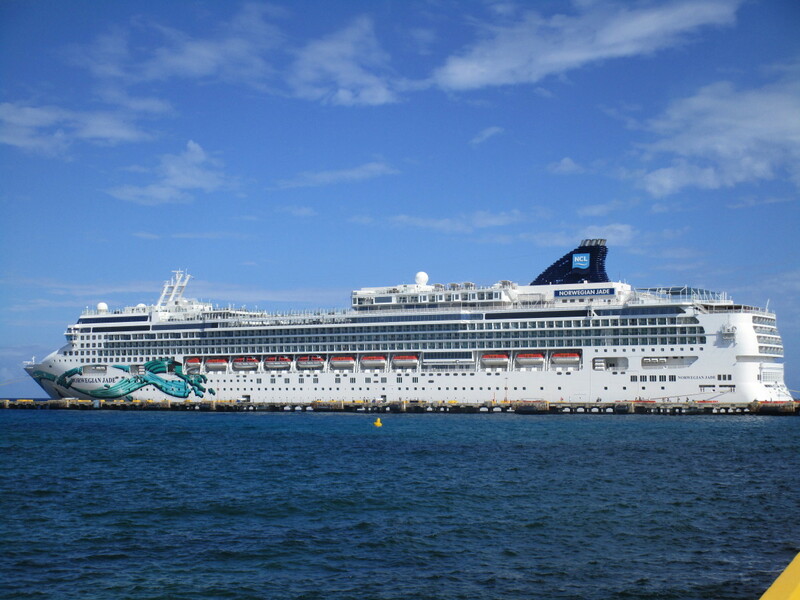 Cruise lines offer recommended excursion operators who will take visitors from the cruise dock to their boats. Never dived before? No problem. Look for operators who offer "resort diving," which includes an introductory class and a one-time shallow dive. The best Caribbean tourist attractions create memorable experiences -- and some great photos as well. English Harbour is one of the best historical attractions in the Caribbean. The English built in the navy base in the 1700s and kept it in operation until 1889. It is now the main attraction of Nelson's Dockyard National Park, which covers 15 square miles. Shirley Heights is a partially restored fortification that overlooks the harbor. Arikok National Park covers a major part of the island and includes three well-known other attractions -- California Lighthouse, Baby Bridge and Natural Pool. Atlantis Waterpark is a world-famous playground at the Atlantis resort complex. 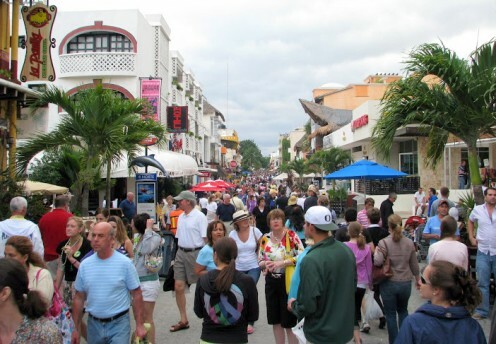 Nassau Straw Market, Fort Charlotte and Queen's Staircase are quick attractions on Nassau while Port Lucaya Marketplace is popular at Freeport on Grand Bahama. Harrison's Cave is a two-mile series of caves, one of the largest in the Caribbean. Flower Forest, located near Harrison's Cave, has more than 50 acres of trails, flowers, birds, monkeys and other plants and animals. Altun Ha is one of the most important Mayan ruins in Central America. The Great Blue Hole is an enormous submarine sinkhole off the coast and famous as a dive spot. Fort Hamilton, Anglican Cathedral and St. George are important historical attractions for anyone wanting a break from Bermuda's pink beaches. 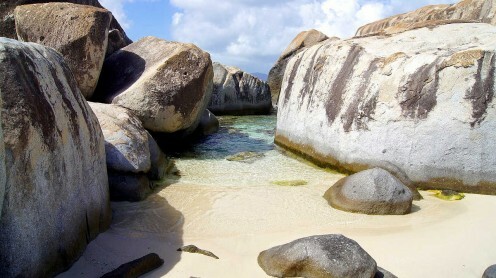 The Baths at Virgin Gorda are unique for the giant boulders that tower over swimmers and show unique streaks of light on the water below. 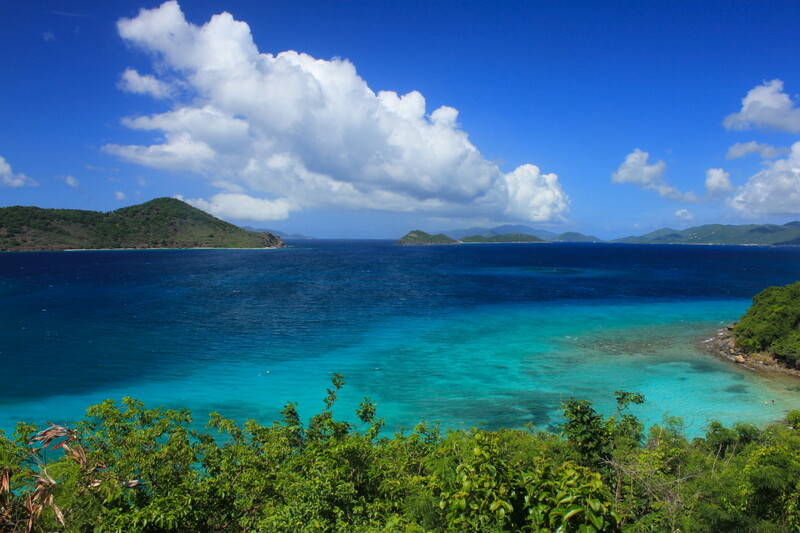 Rhone Marine Park is one of the few official marine parks in the Caribbean and popular with divers and snorkelers. Isla Mujeres offers dolphin swims, Nohoch Jungle Crossing explores local tropical jungles and underground rivers, and Xel Ha to the south of Cancun is a major location of Mayan ruins. Cayman Turtle Farm attracts a half million visits a year. The town of Hell is mainly famous for the postcards that tourist send from the local post office. Botanic Garden is a popular attraction with flower lovers. 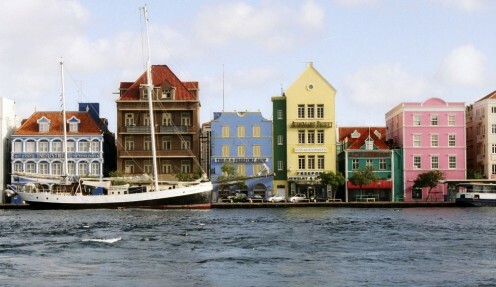 Willemstad, the capital city of Curaçao, is one of the best cruise ports for shopping and dining and certainly one of the most colorful cities in the Caribbean.Curaçao Underwater Marine Park is a well-known dive and snorkeling spot. Dominica is one of the wettest islands in the Caribbean and offers plenty of rainforests and waterfalls. Middleham Falls and Trafalgar Falls are two of the best. Whale watching is another popular attraction. La Soufriere Volcano is an active volcano that erupted most recently in 1972. At more than 4,000 feet high, it is a popular attraction with hikers. Another popular attraction with hikers is Carbet Falls, which is a series of three cascades that begin 3,000 feet above sea level. The historic town of Falmouth, founded in 1769, has been rebuilt into a cruise port with preserved architecture and the largest collection of colonnaded commercial buildings in Jamaica, according to the Jamaica Tourist Board. 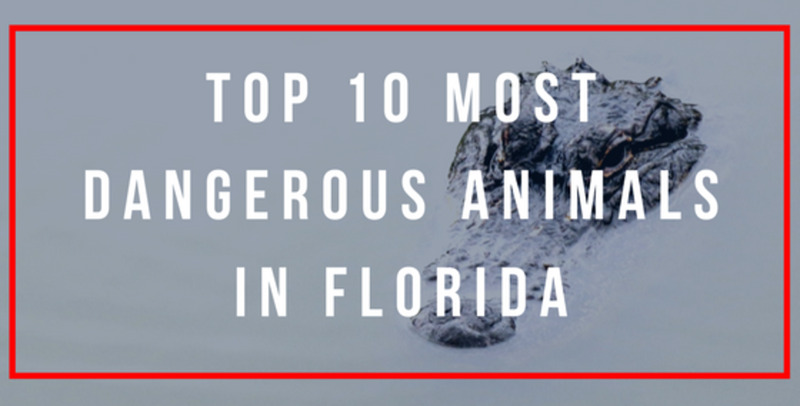 Dolphin Cove is another chance to swim with dolphins, sharks and stingrays. Mount Pelee is an active volcano that killed 30,000 people in 1902. Schoelcher Library's unique design is widely photographed. Exotic western Caribbean cruises often include Colón in Panama. It's a gateway to Panama Canal, Gatun Lake and Monkey Island. St. Kitts Scenic Railway takes visitors on a three-hour, 30-mile tour of the island. Brimstone Hill Fortress is one of the better-preserved forts in the Caribbean. Mt. Liamuiga Volcano, like other semi-active volcanoes in the region, offers hiking and birding trails on a peak that reaches 3,792 feet high. The St. Kitts cruise port is also has one of the newest and biggest for shopping and dining in the Caribbean. The St. Lucia coastline is a beautifully scenic location and well worth an excursion by jeep, horseback, hiking or ATV. The striking Piton Mountains add to the allure with hikes, views and volcanic mud baths. When in St. Maarten, take a drive over to the French towns of Marigot or Grand Case, especially Marigot. While there, climb up to the top of Fort Louis for great panoramic views of the surrounding landscape, waters and yachts. The climb is not as bad as it looks. Fort Christian is an attractive and well-preserved fort built in 1672; it now houses the St. Thomas Museum. Skyride to Paradise Point takes visitors 700 feet above the town of Charlotte Amalie. When in St. Maarten, take a drive over to the French towns of Marigot or Grand Case, especially Marigot. 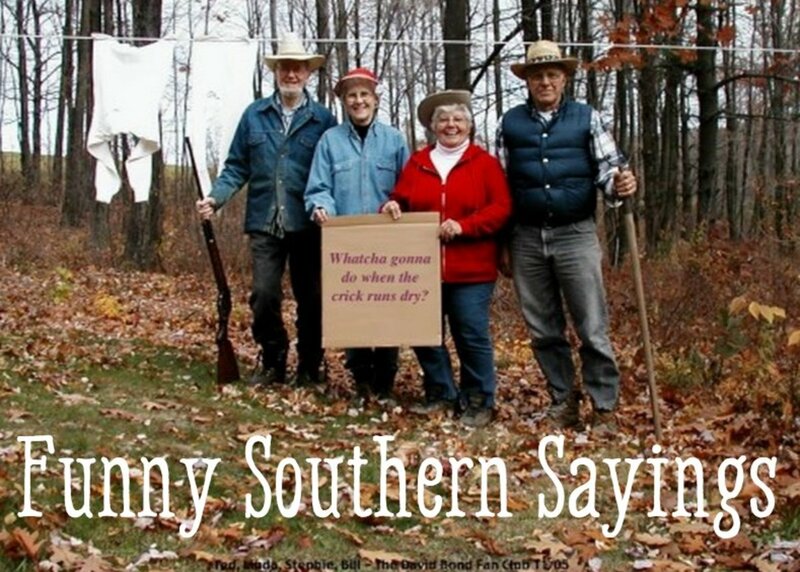 Make no mistake about it. Ask someone their opinion for the best Caribbean vacations and they might be quick to talk about beaches. Yes, the beaches are mostly great, but it's the unique attractions that make a vacation there memorable. A beach is a beach. But swimming with stingrays, sea turtles, dolphins and the occasional barracuda is just awesome. I must say that you have really informative stuff about Caribbean attractions with all of us which is good. I also explored all these attractions during my journey. I am going to take Carlsbad to grand canyon tour with my whole friends in coming up days for having fun. I am so happy for it and I hope we will came back with a lot of pleasant memories. Quardonna, you are lucky to have been almost all over the world. I'm trying to do the same, but I have a long way to go. My wife and I have talked about going to Grenada several times recently and hope to get there soon. i have been almost all over the world and palm beach in aruba is very very beautiful to me and you all should go and see.oh and i am from grenada which is in the caribbean and it is a beautiful island with heat as its weather. I agree, of all my travels, I believe palm beach is by far the most beautiful..
Dinkan53, I hope you make it. 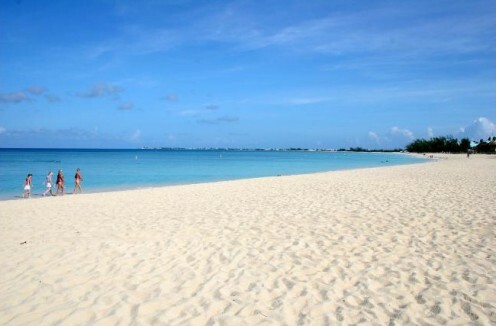 If I could recommend one place, it would be Palm Beach in Aruba. We like it a lot and would go back again given the chance. American Choices, it depends on the location of the condo. If it's in the Simpson Bay area, which is near the airport, you will have plenty of choices along the main road that leads from the airport (Airport Road, which becomes Welfare). There are plenty of nice seafood places on the water. 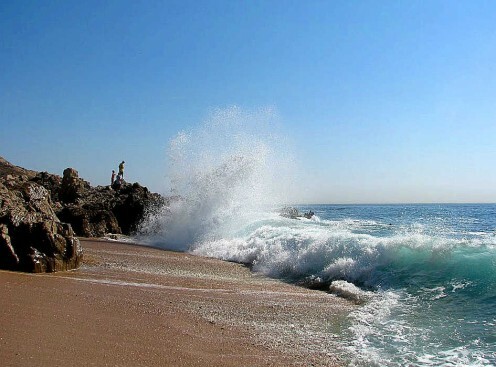 The biggest and best beach is Orient, which is located on the French side of the island. FYI, beaches on the French side are clothing optional, while suits are required on the Dutch side. If you really want good beaches, try a day trip to Anguilla. love to be those places. There is a dream to travel some of the places in the world, one of which is Caribbean beaches. Hope someday will come true. rated up! We have St Maarten on our radar for our next trip. A business associate has offered us his condo. Very helpful hub. Any specific reccomendations for the beaches or eating for St Maarten?